If you’re trying to find the right Paver Sealer Dallas surface for your pavement, you may not know where to go. Are you beginning to see that you need to go ahead and apply a high quality sealant to your concrete pavers but you don’t know where to start? If you’re ready to find some timely solutions that work in your favor, we can help. With the pros here at Texas Stone Sealer around, you’ll always have access to quality TSSPRO sealants. If you have pavers or substrates in front of your residential or commercial building, you undoubtedly want to keep them in good condition. When people approach your home or business, this is going to be one of the first things they notice. As a result, you’re going to have to ensure that it stays in its best possible condition. The last thing you want is a tarnished first impression because you have a stained or cracked paver in plain sight. This is something that is unfortunately far too common in Dallas for more reasons than one. If you have an unsealed piece of pavement, you may be at risk of early deterioration and easy staining. This is a very strong type of stone, but it’s important to remember that it’s not invincible. Your pavers may be susceptible to damages caused by extreme weather, both hot and cold. Furthermore, you could also be dealing with discolorations that are caused by acidic liquids. This is one of the many things that you can prevent by investing in a quality sealant that will help you shield your surface from these types of harms. As you can see, it’s important to make sure you get the right solutions for your Paver Sealer Dallas problems. Reach out to us to discover the right TSSPRO Sealant for you. Our team is more than ready to help you figure out what’s going on with your surface so you experience an easy solution. For more information, call us today at 888-958-0556. We’re ready to consult with you and start building an answer for your unique predicament. We’re proud to say that we have a sister company in Texas, Texas Stone Sealers, that helps local customers clean, seal, and maintain their stone. This group of professionals have been working in the area for nearly a decade. They continue to rise in this industry, and they’re considered by many to be the absolute best in the business. You can trust our companies to provide you with premier sealant services and products. Over the years, we’ve noticed that some of the biggest names in this industry have failed to provide customers with reliable, high quality sealants. Even some of the most trusted manufacturers in the world have been guilty of creating low quality sealants that don’t work well. After awhile, our team simply got tired of putting up with acrylic products that made our job harder while also decreasing customer satisfaction. As a result, we decided to put our heads together and come up with a solution that made sense for everybody. We dealt with this for a very long time, but after we experienced enough malfunctions, we decided that it was time for a change. Faulty products only make things worse for all parties involved. Furthermore, they’re going to cause a lot of malfunctions and let-downs throughout the years. In most cases, there’s no way you’re going to get five years out of a cheap acrylic product. We wanted to give our customers that would withstand the test of time while providing them with an affordable solution to their sealant needs. Today, we are proud to announce our line of TSSPRO sealants. These are all-natural, alcohol-based sealing products that provide you with optimal protection. While they are commercial grade quality, they are appropriate for both residential and business uses. Our lineup is always growing, and we’re constantly looking for ways to help our customers improve their surfaces. You can trust our products to get the job done on a consistent basis. The TSSPRO Sealant continues to grow into a full-fledged inventory that can help you with your residential and commercial stone sealing. However, it can be very confusing to figure this out all by yourself if you’re not an expert in the field. Are you new to this line of work and you’re unsure of where you need to go to get the most out of your pavers? If so, lean on our professionals to lead you in the right direction. Our team can make sure you’re in good hands throughout every step of the way. 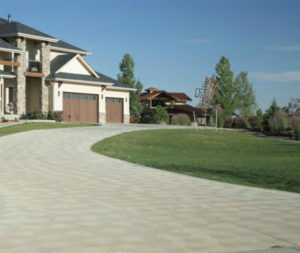 Finding the perfect Paver Sealer Dallas product or service isn’t always the easiest solution. It’s going to take time and effort to make sure you have the right answer to your unique problem. While this might seem daunting at first, you can count on our professionals here at TSSPRO Sealant to give you the right service. Contact us today at 888-958-0556 for a free consultation. We want our customers to have the right answers when they encounter problems with their stone. Our team will help you come up with a unique solution to whatever issue is currently troubling you and your pavement. Dallas has one of the most beautiful and iconic skylines in all of America. Many of the buildings exceed 700 feet. In the early years, Dallas relied heavily on farming to build its economy. Today, we have successfully transitioned into a modern money-making hub that our citizens are heavily involved in. Many Fortune 500 companies are operated right out of Dallas. The Corridor has over 5,700 businesses that are located in this area. If you’re a business person looking for new opportunities, The Dallas-Fort Worth area is the place for you. Visit Dallas to learn more about our culture! We attract millions of tourists every year.